I am here with a new post on (Rg.Plugins.Popup). RG.plugin.popup can be used to design a popup in Xamarin.Forms. I am here with a new post on (Rg.Plugins.Popup). Popups are very important in mobile apps. When I tried to use popups for the first time, I was confused about the kind of popup to use and how I could get them into the Xamarin forms. I searched a lot on the internet and found a plugin (RG.plugin popup) to design a popup. With the help of this plugin, we can easily create popups in Xamarin.Forms. This plugin saves a lot of time and effort. In my next post, I will tell you about how to apply animation on Rg.Plugins.Popup. 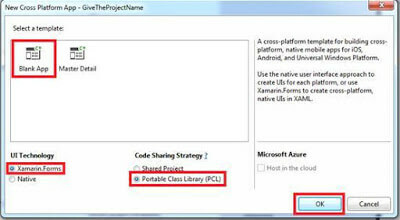 Now, select Cross-Platform App, give the project a name and set the project path. Then, click OK.
Click Browse and search for Rg.Plugins.Popup, select Plugins and then check the projects in which we want to add this plugin. 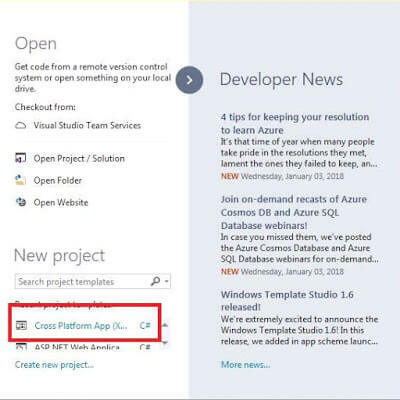 <Label Text="Pop Up Demo" Font="Bold,24"
Now, we are creating ShowPopupDemo.xaml for creating our popup. Now, we are coding in C#. My Popup Page is working.